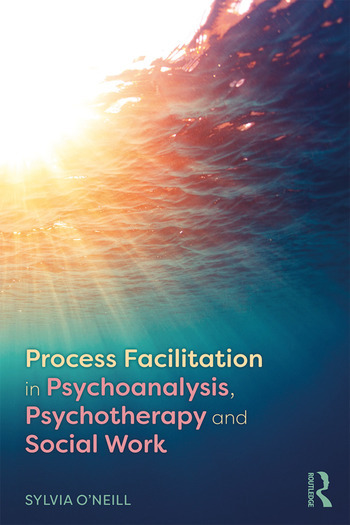 Process Facilitation in Psychoanalysis, Psychotherapy and Social Work elaborates a differential theory of therapeutic engagement with full reference not only to psychoanalysis and to psychotherapy but also – surprisingly – to social work. When contemporary social work with the marginalised achieves mutual constructive collaboration, social workers characteristically notice an unfolding process. Could this correspond to the ‘analytic process’ of psychoanalysis? Sylvia O’Neill seeks to explain theoretically, and to illustrate clearly in practice, just how a quasi-autonomous therapeutic process becomes established. The theory underpinning the book is Jean-Luc Donnet’s conceptualisation of the establishment of the analytic process in psychoanalysis through introjection of the analytic setting. Donnet designates the psychoanalytic setting as the analytic ‘site’. O’Neill proceeds to trace, by means of detailed clinical discussion, the analogous process by which a viable therapeutic process can become established through created/found discovery and introjection of the relevant ‘site’ or setting in psychoanalytic psychotherapy and in social work. Amongst the most important elements are the practitioner’s internalised theoretical principles. The book demonstrates that unconscious introjection figures more importantly in effective therapeutic engagement than a conscious therapeutic alliance. An important corollary for social work is that, contrary to popular myth, no prior psychological-mindedness is required. The differential theory of Process Facilitation in Psychoanalysis, Psychotherapy and Social Work is equally relevant to psychodynamic counselling. Chapter 1. Lines of Advance, Then and Now: Continuum, or Radical Break? Chapter 8. Engaging Families "Mired in Deep Distress"
Chapter 10. After Starting Where the Client Is, What Next? Sylvia O’Neill is a psychoanalytic psychotherapist practising privately in Edinburgh and in the NHS in Glasgow. She trained in psychotherapy at the Tavistock Clinic after practising social work in Melbourne and London. Her published research interests include therapeutic engagement, autistic pathology, male anorexia and professional cultures.